Tank Quarry was actually located on End Hill, the most northerly of the Malvern Hills, although most locals would not recognise this term preferring to refer to the whole area as North Hill. The Malvern Hills Conservators have provided a car park at this site. There is also a picnic area that offers spectacular views towards Birmingham and on a good day the Clent and Waseley Hills are easily located. This quarry was the largest on the hills (at over 300 feet high) and caused the most ecological damage by tearing down a large part of the hill. 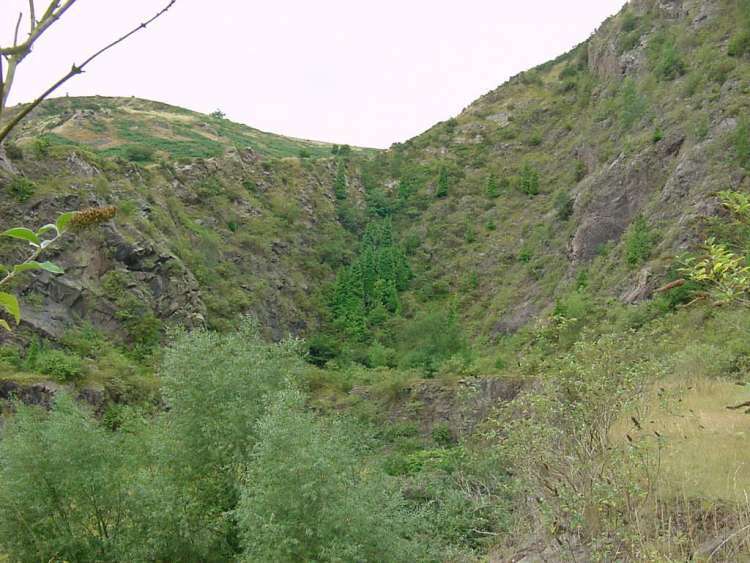 The sheer scale of the damage caused by the quarry activity cannot easily be hidden by a few trees as shown in these photographs that were taken by Andrew Smith on 11th August 2002. Amazingly the site is now a Site of Special Scientific Interest. At the top left of this photograph the top of North Quarry can just be seen. Had quarrying been allowed to continue without control it would not have been long before the whole of the side of the hill had been removed. Not only was the Tank quarry the largest on the hills but it was also had a long life as a working quarry. As early as 1872, The Post Office Directory of 1872 lists Thomas William Morgan as a quarry owner and stone merchant at Tank Quarry works, North Malvern although no such entry appears in the 1868 Kellys Directory of Worcestershire. He continues to be similarly listed for the rest of the century. However the 1908 Kellys Directory refers to him as being merely a stone merchant with a separate entry for the Pyx Granite Co Ltd, Malvern and Little Malvern. Although the Pyx Granite Co Ltd are widely thought of as being responsible for the large scale destruction on End Hill, contemporary photographs taken in the early 1900's show that Morgan was as much to blame as Pyx Granite. 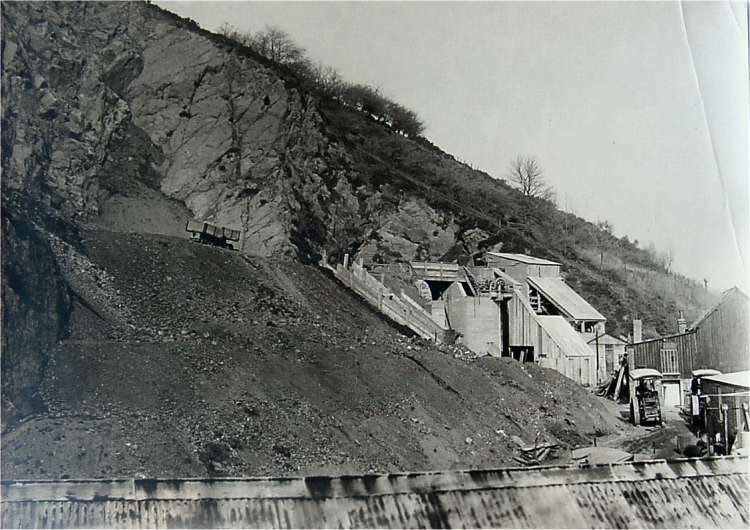 Despite the Malvern Hills Act, 1924 stating that all quarrying on the hills was to cease by June 1960, the Pyx Granite Company Limited was able, after World War Two, to overturn this and were granted permission to carry on quarrying to 1966 and subsequently gained a further extension of time. 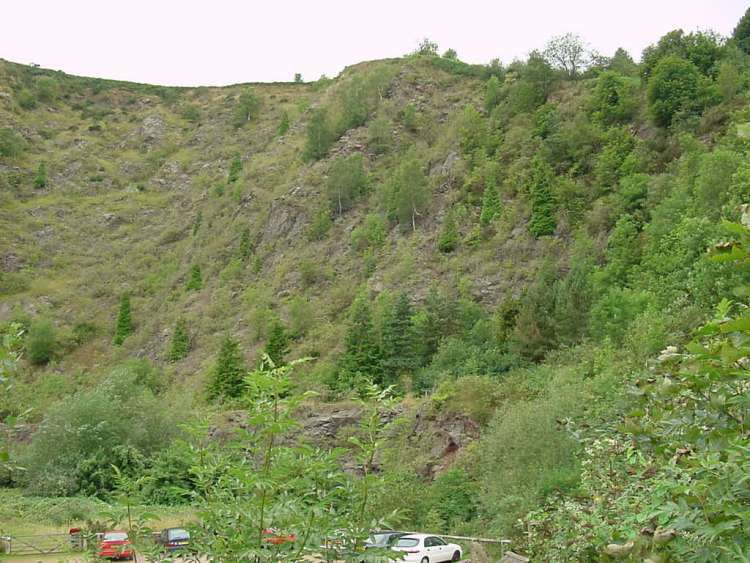 The quarry went down deep below its current level but when quarrying ceased in 1970 the Worcestershire County Council in-filled the site and after capping they planted trees and grass to give the whole area a pleasant aspect. 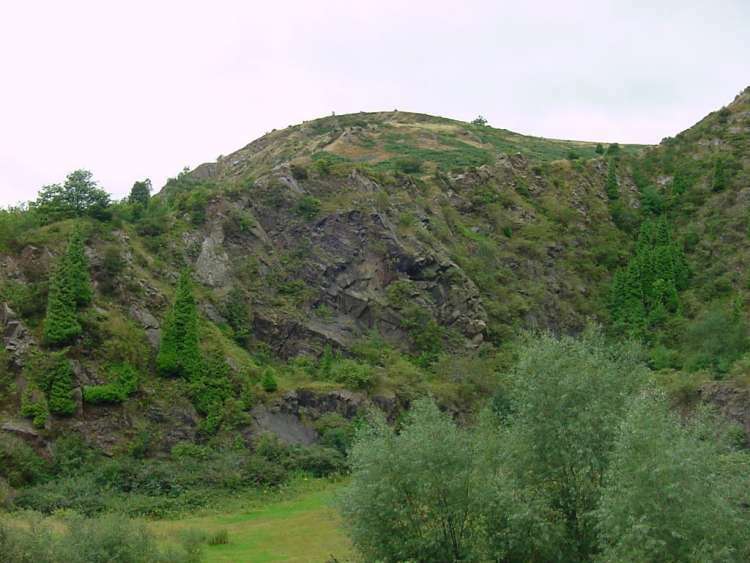 The Malvern Hills Conservators took over control of the quarry site from the County Council in February 2007. This photograph was taken in 1923 and shows the quarry buildings that were situated just above the North Malvern Road. Prominent in the yard are two steam powered traction engines. Photograph by permission of the Malvern Hills Conservators. 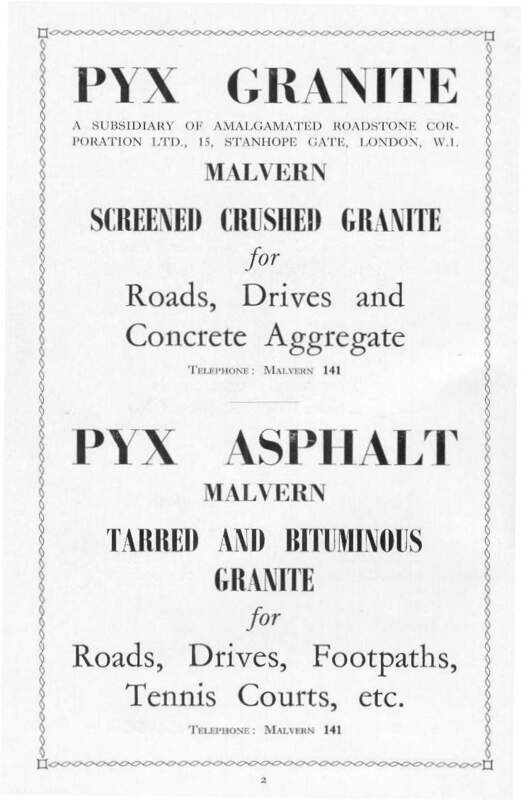 The advert shown above appeared in the 25th edition of the 'Guide to Malvern' that was published about 1960. Pyx Granite was by this time a trading name of the Amalgamated Roadstone Corporation Ltd (commonly known as 'ARCO').